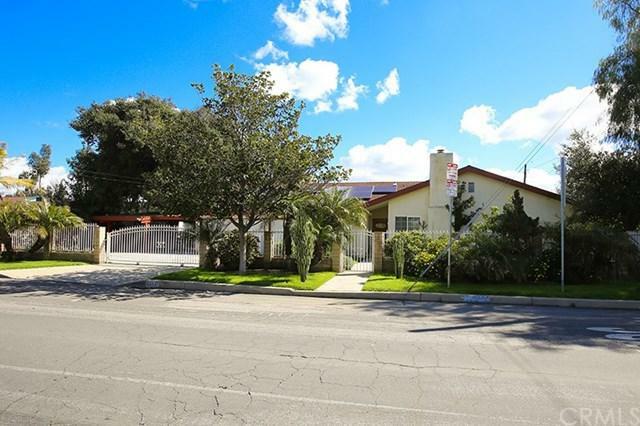 This gorgeous 3 bedroom, 2.5 bathroom, North Hills home seats upon a massive 20,543 SQ FT corner lot. This amazing 1,738 SQ FT home was built in 2000, boasts an inviting floor plan with a high-ceiling living room, a fireplace, formal dining room, kitchen, and laundry area. The kitchen features wooden cabinets, recessed lighting, tile countertops, dishwasher, and a bay window with a view of the luscious front yard garden. 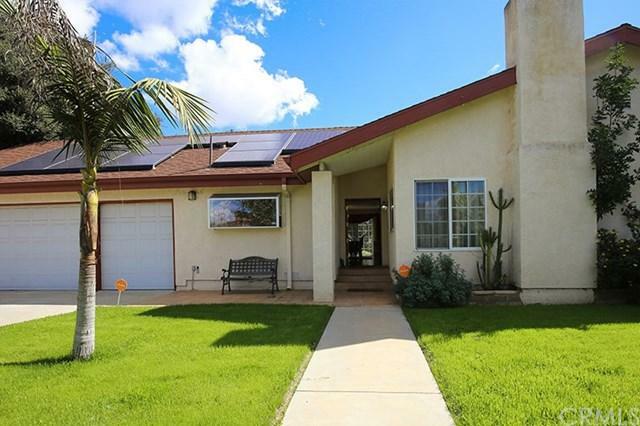 This house has it all from recessed lighting, beautiful wood flooring throughout, dua This gorgeous 3 bedroom, 2.5 bathroom, North Hills home seats upon a massive 20,543 SQ FT corner lot. This amazing 1,738 SQ FT home was built in 2000, boasts an inviting floor plan with a high-ceiling living room, a fireplace, formal dining room, kitchen, and laundry area. The kitchen features wooden cabinets, recessed lighting, tile countertops, dishwasher, and a bay window with a view of the luscious front yard garden. 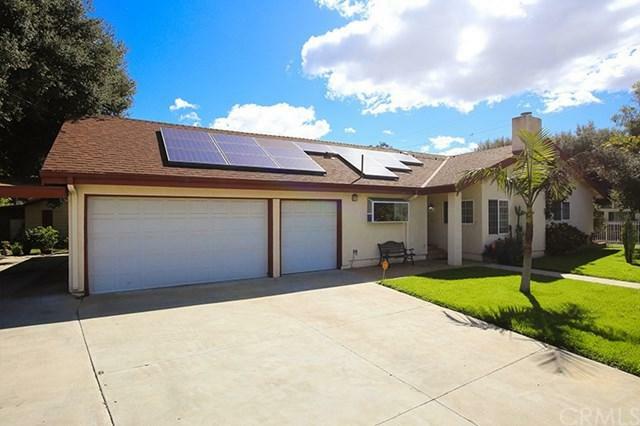 This house has it all from recessed lighting, beautiful wood flooring throughout, dual pane windows, solar panels, central A/C and heating, direct garage access and a large master bedroom. The master bedroom is very spacious with a wall-to-wall mirror closet, and a bathroom with a shower stall and soaking tub. The home also features a three-car garage, and a large attic, which offers ample space for storage or potential office space. Covered porch and patio for additional parking and a 758 SQ FT guest house with its own garage and private entrance makes this a terrific home. 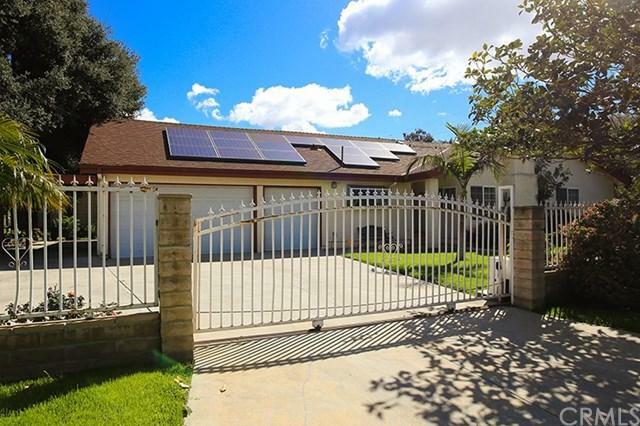 Property is fenced all around with an electric operated front gate. Imagine the possibilities of growing your own vegetables and fruit trees on the sizable back yard. Come take a look and be ready to call this home! Listing provided courtesy of Coldwell Banker Hallmark Realty. Listing information © 2019 San Diego MLS, Inc.